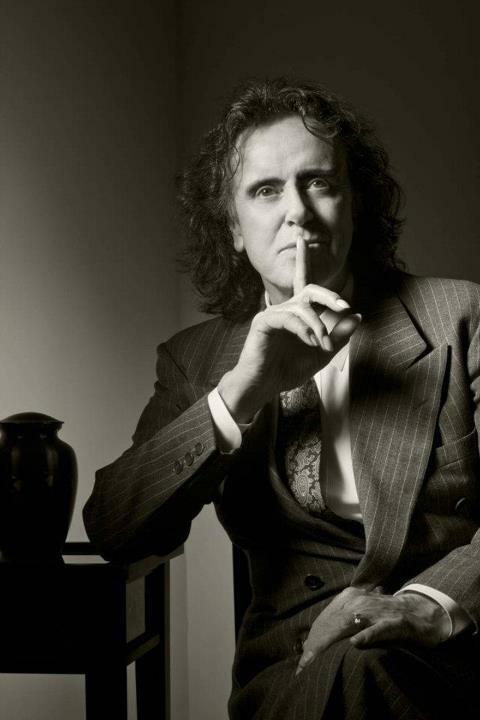 Scottish folk troubadour, Donovan, will be inducted into the Rock and Roll Hall of Fame on April 14, 2012. Pedro who has particpated in their summer institutes decided he would try to secure an interview before then. You are from Maryhill in Glasgow, Scotland. What was it like growing up in post-war UK? I like your description in Rolling Stone of coming “from a very ancient, acoustic root”. What is your earliest recollection of music sparking a light in you? Session musicians on your early recordings read like a who’s who of fellow inductees. Did you foresee the likes of Jimmy Page, Jack Bruce, and John Paul Jones making such an enormous impact on music later on? The tambura on Hurdy Gurdy Man is as iconic as the sitar on Norwegian Wood. I believe Mr. Harrison gave you the instrument as a gift? My lovely wife is about to embark on her first trip to India for work and has agreed to bring me back a tamburi for my birthday. Any tips in selecting one? We are based in the great city of San Francisco. I recently took my art students on a fieldtrip to the Fillmore to view its Poster Gallery and experience Bill Graham’s contribution to the arts first hand. Are there any stories from your time playing at this living landmark? What was your impression of the city by the bay? I saw you perform acoustically once, back when I was an art student. It was at the (sadly, long gone) Tower Records in New York. I enjoyed your storytelling, particularly of your travels with Gypsy Dave. Tell me about Gypsy Dave’s influence and sculpture work. Your involvement with the David Lynch Foundation for Consciousness based Education and World Peace seems like a natural extension of your life-long commitment to meditation and mindfulness. The school I teach at has adopted mindfulness as a practice for the classroom this year. It’s exciting to see our students embrace silence and apply it in their lives beyond the classroom. What has meditation done for you and what do you think it can do for our future leaders and thinkers? ” Meditation to me confirms the transcendental world that we all come from. It is essential now for every student to overcome fear, doubt, and anger. It is the boom that The Beatles and I brought back from India for the west to rediscover. I have been honored to share my teaching practices on integrating music into the classroom at the Rock and Roll Hall of Fame + Museum’s Summer Teacher Institute. Do you have any insight I can pass along to fellow educators on 21st Century Learning for our students? Your recent work includes wonderful recordings with Rick Rubin (Sutras) and Danny Thompson/Jim Keltner (Beat Cafe). Can we anticipate any further collaborations/recordings for 2012 and beyond? We feature a variety of new artists leaving their mark in Scotland and beyond. Any folks you recommend we should check out? So, my tamburi was found and purchased at the great Rikhi Ram shop in New Dehli, where Ajay has sold many fine instruments to many fine Beatles throughout the years. How my better half managed to point out this rock-historical side note from the road driving for 2 hrs in Indian traffic, I’ll never know. But I’m glad she did and thanks to Ajay for the good price! This entry was posted in glasGOwest and tagged Donovan, Rock and Roll Hall of Fame.